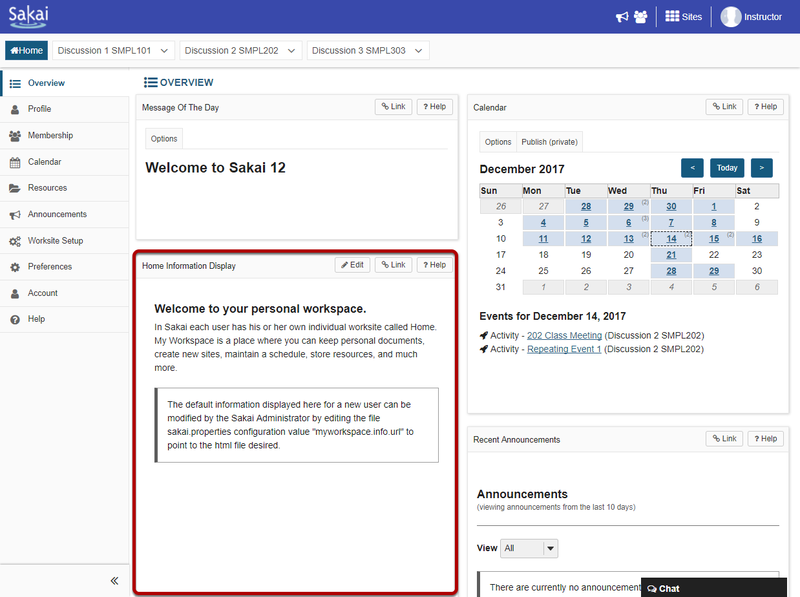 Sakai Community DocumentationSakai 19 User Guide (English) HomeWhat is the Home Information Display? In the Home area may be customized by your institution to display information for all users. The Home Information Display often contains static information, unlike the announcements which may change more often in the Message of the Day. Zoom: View the information display. Prev: What is the Home Calendar? Next: What are the Home Recent Announcements?